This outdoor fire pit chat set offers the perfect place to sit with friends and family to enjoy drinks and good conversation, whether it's a chilly fall day or a cool summer night. The rust-proof aluminum frames allow these pieces to withstand all types of weather, so they can be a gorgeous backyard addition for years to come. 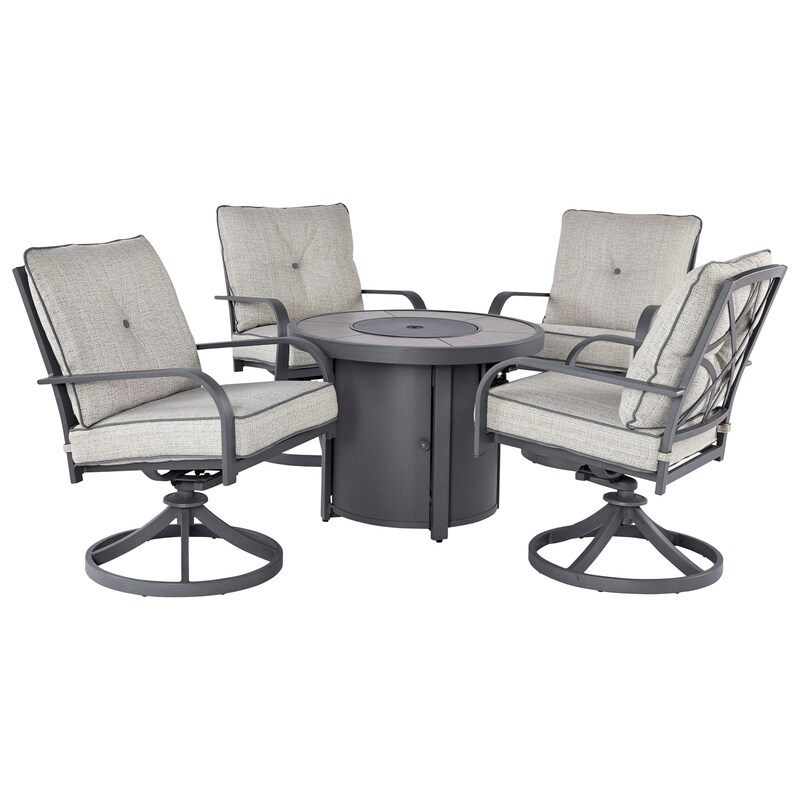 The Donnalee Bay 5 Piece Fire Pit Chat Set by Signature Design by Ashley at A1 Furniture & Mattress in the Madison, WI area. Product availability may vary. Contact us for the most current availability on this product. The Donnalee Bay collection is a great option if you are looking for Contemporary Outdoor Furniture in the Madison, WI area. Browse other items in the Donnalee Bay collection from A1 Furniture & Mattress in the Madison, WI area.